 Imaging Center Accreditation Options - ONRAD, Inc.
Health care organizations are held to high standards, and for good reason. The general public has the right to receive the best medical care available while Medicare and other payers need to be assured that facilities are properly run and diagnosis, treatment and billing is on the up and up. By now you know that the January 1, 2012 deadline for Imaging Center Accreditation is fast approaching. In fact, if your facility hasn’t started the accreditation process, it could very well be too late. The Medicare Improvements for Patients and Providers Act (MIPPA) was signed in 2008, and all CT, breast MRI, MRI, PET and nuclear medicine exams providers are required to be accredited in order to be reimbursed for their imaging services from Medicare and Medicaid (CMS). Your accreditation must be done through either the Joint Commission, The Intersocietal Accreditation Commission (IAC) or the American College of Radiology (ACR). According to MIPPA, hospitals that bill CMS for advanced imaging will not have to go through the MIPPA-mandated accreditation process, because they’re already accredited in other ways. Although MIPPA calls for imaging center accreditation through one of the three organizations, the individual approaches to the accreditation programs vary significantly and can be confusing. If you have not decided which to accreditation process to choose, be aware that there are some distinct differences, as well as some commonalities that you should consider. The focus of the Joint Commission stretches throughout the entire organization and concentrates upon systems and processes. It views imaging center accreditation as a adjunct to its other quality assurance programs. While the IAC and ARC evaluate each separate division, The Joint Commission accreditation extends to the entire facility and focuses on patient and staff safety. One of the main differences between The Joint Commission and the other two organizations, is that The Joint Commission does not rely on peer review to evaluate each facility. Instead, it emphasizes patient care. Their accreditation process helps to identify and improve safety and quality of care. The imaging center accreditation process is structured similarly for each of the divisions, and starts with a self-evaluation by the staff of the facility. Then the operation undergoes a thorough assessment by the IAC which includes reviewing case studies and a confidential peer review. After the evaluation, the Board of Directors makes the final imaging center accreditation decision. The IAC stresses that it does not restrict accreditation to “perfect” facilities, but bases it on substantial standards compliances which are developed for each of the IAC divisions.. Some industry experts consider the ACR to be the “gold standard” in imaging center accreditation due to the rigorous imaging quality assessment. The accreditation process was created by and is carried out by radiologists and medical personnel. The ACR accreditation process includes individual scanners — every machine is rigorously evaluated and must produce high-quality scans of actual patients. Whatever accreditation organization you choose to go through, if you haven’t already put your imaging center accreditation program into motion, make your choice immediately or it might be too late.